They are remodeling our high school media center this summer and the place is a mess right now. It got me thinking of how sometimes a mess is necessary for change, but first a little remembering on my part. I found this picture in a stack of everything that's in storage and I had to point it out. 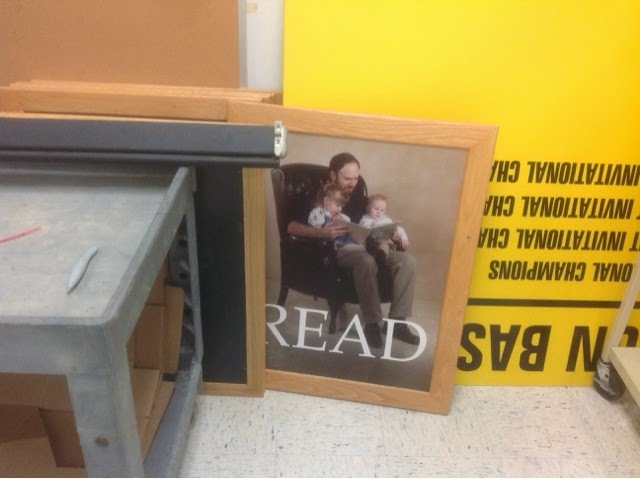 Our principal had some of us pose with our kids for a "READ" poster years ago. That's me and my two kids. They're both teens now, so I do mean years ago! Aren't they adorable? But back to the temporary mess. In the process of changing a building around we see the signs: "Don't mind our mess". It's understood that the change or move to something new and improved is going to look ugly for a while. How come it's not so accepted when it comes to a change in a teaching practice? Why do teachers feel a need to have it perfect the first time they try PBL or when they start flipping the classroom? I'm working with a high school teacher right now who's trying a new project in Geometry. He's integrating a lot of tech and things are a little chaotic this time around. We are all learning together and we don't know now if test scores on the unit will be as high as they would have been with the teacher's usual approach. But is that a bad thing, or is it just the necessary mess as we move to something better? The truth is the students are learning a lot. There is a load of teamwork, problem solving and tech skills coming at them (and us). In all honesty we know they might not pick up as much of the course content as we'd like as we work toward change. It's an investment, though, and a first step in a process that will get better each time we do it in the future. I'm thankful for teachers willing to make the move and the temporary mess. I'm grateful for principals who understand and encourage it. Thanks to Lisa Johnson for her list on Listly to get me thinking of compiling these resources. Who could argue that great teaching and great storytelling go hand in hand? When it comes to motivation, inspiration or just getting the information to stick, we all know from experience that a powerful story gets the job done. I have been a big fan of Donald Miller's work with the power of story, especially his books Storyline and A Million Miles in a Thousand Years. Miller's point is that we can even live more meaningful lives by evaluating our goals and decisions in terms of what makes great stories. His books helped me through some personal struggles, so he's had my attention on the subject for years now. Of course, he's not alone in these insights. It seems everyone from sales people to motivational speakers is learning to harness the power of stories and honing the skill of telling them in the best ways. 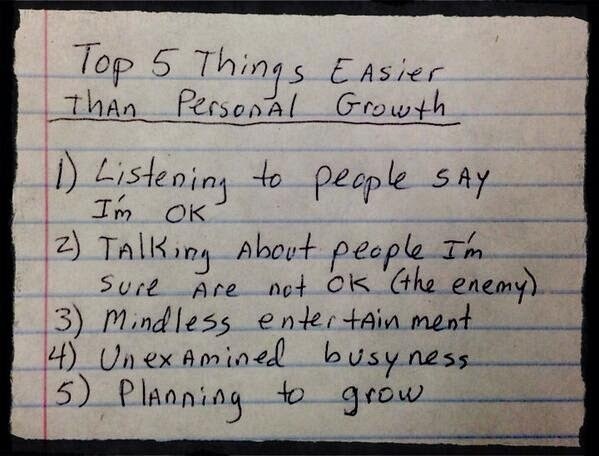 I'm just starting this list for use in the classroom. I'll keep adding to it as I find more. Erin Gruwell's TEDx Talk - She tells the Freedom Writer's story, which itself illustrates how our stories move us and others. Coming Soon - My creative classroom game of movie trailers - It uses Donald Miller's short recipe for a great story. Harnessing the Power of Story - A shorter video focusing on finding your "signature story"
Please add your favorite resources on story in the comments below or you can email me. I've written much about how to teach like an artist or the benefits of it throughout the blog. Ultimately what these thoughts are pointing to is a framework for project-based lessons. It possibly could be a starting point for planning any lesson, but it also is useful in evaluating the lesson or in providing a lens for reflection afterward. The vision, dream or idea - What was the core idea that led to the lesson? This could be a goal or an end result that was imagined before anything else. Realization through work - What obstacles had to be worked through in order for the vision, idea or goal to come into reality? This is mostly a question for the teacher as she sees her lesson take life. The learners can answer from their perspective, as they are experiencing their own journey through the learning process. Reflecting - There is so much potential for learning all around us that we will miss it without reflection. Reflect on the purpose of a learning experience. Whether or not the vision came to reality, reflect on all the learning. Also, in what ways did the work (or could the work) cause others to reflect and ask questions? Inspire - I believe a good part of inspiration (encouragement to keep going) comes from realizing you've done something no one else could have done quite the same. Regardless of how small the work of art is, recognize the uniqueness and what it means for future works. This lies at the heart of passion, purpose and potential--the ingredients of a full life. It will inspire the artist and everyone who gets to enjoy the art. Look for it and celebrate it in your work and the work of others. Here's a graphic based on the list I made earlier in the week.